19 December was the 141th anniversary of the birth of Mileva Marić Einstein. But who remembers this brilliant scientist? While her husband, Albert Einstein is celebrated as perhaps the best physicist of the century, one question about his career remains: How much did his first wife contribute to his groundbreaking science? While nobody has been able to credit her with any specific part of his work, their letters and numerous testimonies presented in the books dedicated to her(1-5) provide substantial evidence on how they collaborated from the time they met in 1896 up to their separation in 1914. They depict a couple united by a shared passion for physics, music and for each other. So here is their story. Mileva Marić was born in Titel in Serbia in 1875. Her parents, Marija Ruzić and Miloš Marić, a wealthy and respected member of his community, had two other children: Zorka and Miloš Jr. Mileva attended high school the last year girls were admitted in Serbia. In 1892, her father obtained the authorization of the Minister of Education to allow her to attend physics lectures reserved to boys. She completed her high school in Zurich in 1894 and her family then moved to Novi Sad. Mileva’s classmates described her as brilliant but not talkative. She liked to get to the bottom of things, was perseverant and worked towards her goals. Albert Einstein was born in Ulm in Germany in 1879 and had one sister Maja. His father, Hermann, was an industrial. His mother, Pauline Koch came from a rich family. Albert was inquisitive, bohemian and rebel. Being undisciplined, he hated the rigor of German schools so he too finished his high school in Switzerland and his family relocated to Milan. Albert and Mileva were admitted to the physics-mathematics section of the Polytechnic Institute in Zurich (now ETH) in 1896 with three other students: Marcel Grossmann, Louis Kollros and Jakob Ehrat. Albert and Mileva became inseparable, spending countless hours studying together. He attended only a few lectures, preferring to study at home. Mileva was methodical and organized. She helped him channel his energy and guided his studies as we learn from Albert’s letters, exchanged between 1899-1903 during school holidays: 43 letters from Albert to Mileva have been preserved but only 10 of hers remain(5). These letters provide a first-hand account on how they interacted at the time. In August 1899, Albert wrote to Mileva: « When I read Helmholtz for the first time, it seemed so odd that you were not at my side and today, this is not getting better. I find the work we do together very good, healing and also easier.” Then on 2 October 1899, he wrote from Milan: “… the climate here does not suit me at all, and while I miss work, I find myself filled with dark thoughts – in other words, I miss having you nearby to kindly keep me in check and prevent me from meandering”. Mileva boarded in a pension for women where she met her life-long friends Helene Kaufler-Savić and Milana Bota. Both spoke of Albert’s continuous presence at Mileva’s place, where he would come freely to borrow books in Mileva’s absence. Milan Popović, Helene’s grandson, published the letters Mileva exchanged with her throughout her life(4). Meanwhile, Albert’s family strongly opposed their relationship. His mother was adamant. “By the time you’re 30, she’ll already be an old hag!” as Albert reported to Mileva in a letter dated 27 July 1900, as well as « She cannot enter a respectable family ”. Mileva was neither Jewish, nor German. She had a limp and was too intellectual in his mother’s opinion, not to mention prejudices against foreign people. Moreover, Albert’s father insisted his son found work before getting married. In September 1900, Albert wrote to Mileva: “I look forward to resume our new common work. You must now continue with your research – how proud I will be to have a doctor for my spouse when I’ll only be an ordinary man.“ They both came back to Zurich in October 1900 to start their thesis work. The other three students all received assistant positions at the Institute, but Albert did not. He suspected that professor Weber was blocking him. Without a job, he refused to marry her. They made ends meet by giving private lessons and “continue[d] to live and work as before.“ as Mileva wrote to her friend Helene Savić. The decision to publish only under his name seems to have been taken jointly. Why? Radmila Milentijević, a former history professor at City College in New York, published in 2015 Mileva’s most comprehensive biography(1). She suggests that Mileva probably wanted to help Albert make a name for himself, such that he could find a job and marry her. Dord Krstić, a former physics professor at Ljubljana University, spent 50 years researching Mileva’s life. In his well-documented book(2), he suggests that given the prevalent bias against women at the time, a publication co-signed with a woman might have carried less weight. Then Mileva’s destiny changed abruptly. She became pregnant after a lovers’ escapade in Lake Como. Unemployed, Albert would still not marry her. With this uncertain future, Mileva took her second and last attempt at the oral exam in July 1901. This time, Prof. Weber, whom Albert suspected of blocking his career, failed her. Forced to abandon her studies, she went back to Serbia, but came back briefly to Zurich to try to persuade Albert to marry her. She gave birth to a girl named Liserl in January 1902. No one knows what happened to her. She was probably given to adoption. No birth or death certificates were ever found. Earlier in December 1901, their classmate Marcel Grossman’s father intervened to get Albert a post at the Patent Office in Bern. He started work in June 1902. In October, before dying, his father granted him his permission to marry. Albert and Mileva married on 6 January 1903. Albert worked 8 hours a day, 6 days a week at the Patent Office while Mileva assumed the domestic tasks. In the evenings, they worked together, sometimes late in the night. Both mentioned this to friends, he to Hans Wohlwend, she to Helene Savić on 20 March 1903 where she expressed how sorry she was to see Albert working so hard at the office. On 14 May 1904, their son Hans-Albert was born. Despite this, 1905 is now known as Albert’s “miracle year”: he published five articles: one on the photoelectric effect (which led to the 1921 Nobel Prize), two on Brownian motion, one on special relativity and the famous E = mc2. He also commented on 21 scientific papers for a fee and submitted his thesis on the dimensions of molecules. Much later, Albert told R. S. Shankland(6) that relativity had been his life for seven years and the photoelectric effect, for five years. Peter Michelmore, one of his biographers(7), wrote that after having spent five weeks to complete the article containing the basis of special relativity, Albert “went to bed for two weeks. Mileva checked the article again and again, and then mailed it”. Exhausted, the couple made the first of three visits to Serbia where they met numerous relatives and friends, whose testimonies provide a wealth of information on how Albert and Mileva collaborated. 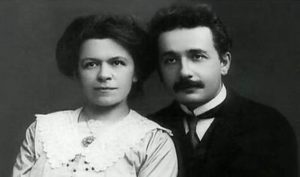 Mileva’s brother, Miloš Jr, a person known for his integrity, stayed on several occasions with the Einstein family while studying medicine in Paris. Krstić(2) wrote: “[Miloš] described how during the evenings and at night, when silence fell upon the town, the young married couple would sit together at the table and at the light of a kerosene lantern, they would work together on physics problems. Miloš Jr. spoke of how they calculated, wrote, read and debated.” Krstić heard this directly from relatives of Mileva, Sidonija Gajin and Sofija Galić Golubović. Zarko Marić, a cousin of Mileva’s father, lived in the countryside property where the Einsteins stayed during their visit. He told Krstić how Mileva calculated, wrote and worked with Albert. The couple often sat in the garden to discuss physics. Harmony and mutual respect prevailed. Gajin and Zarko Marić also reported hearing from Mileva’s father that during the Einstein’s visit to Novi Sad in 1905, Mileva confided to him: “Before our departure, we finished an important scientific work which will make my husband known around the world.” Krstić got this same information in 1961 from Mileva’s cousin, Sofija Galić Golubović, who was present when Mileva said it to her father. Desanka Trbuhović-Gjurić published Mileva’s first biography in Serbian in 1969(3). It later appeared in German and French. She described how Mileva’s brother often hosted gatherings of young intellectuals at his place. During one of these evenings, Albert would have declared: “I need my wife. 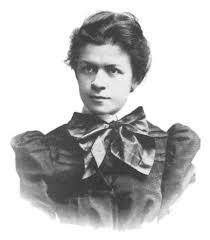 She solves for me all my mathematical problems”, something Mileva is said to have confirmed. In 1908, the couple constructed with Conrad Habicht an ultra-sensitive voltmeter. Trbuhović-Gjurić attributes this experimental work to Mileva and Conrad, and wrote: “When they were both satisfied, they left to Albert the task of describing the apparatus, since he was a patent expert.” It was registered under the Einstein-Habicht patent. When Habicht questioned Mileva’s choice not to include her name, she replied making a pun in German: “Warum? Wir beide sind nur ein Stein.“ (“Why? The two of us are but one stone”, meaning, we are one entity). Mileva and Albert in 1910. 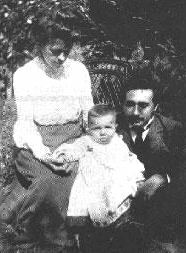 Their second son, Eduard, was born on 28 July 1910. Up to 1911, Albert still sent affectionate postcards to Mileva. But in 1912, he started an affair with his cousin, Elsa Löwenthal while visiting his family who had moved to Berlin. They maintained a secret correspondence over two years. Elsa kept 21 of his letters, now in the Collected Papers of Albert Einstein. During this period, Albert held various faculty positions first in Prague, back in Zurich and finally in Berlin in 1914 to be closer to Elsa. This caused their marriage’s collapse. Mileva moved back to Zurich with her two sons on 29 July 1914. In 1919, she agreed to divorce, with a clause stating that if Albert ever received the Nobel Prize, she would get the money. When she did, she bought two small apartment buildings and lived poorly from their income. Her son, Eduard stayed frequently in a sanatorium. He later developed schizophrenia and was eventually internalised. Due to these medical expenses, Mileva struggled financially all her life and eventually lost both buildings. She survived by giving private lessons and on the alimony Albert sent, albeit irregularly. 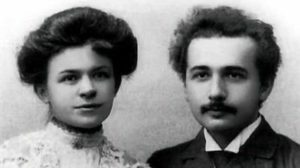 Their letters and the numerous testimonies show that Mileva Marić and Albert Einstein collaborated closely from their school days up to 1914. Albert referred to it repeatedly in his letters, like when he wrote: « our work on relative motion”. Their union was based on love and mutual respect, which allowed them together to produce such uncommon work. She was the first person to recognize his talent. Without her, he would never have succeeded. She abandoned her own aspirations, happy to work with him and contribute to his success, feeling they were one unique entity. Once started, the process of signing their work under his unique name became impossible to reverse. She probably agreed to it since her own happiness depended on his success. Why did Mileva remain silent? Being reserved and self-effaced, she did not seek honors or public attention. And as is always the case in close collaborations, the individual contributions are nearly impossible to disentangle. To find out more about particle physics and dark matter, check out my book « Who Cares about Particle Physics: making sense of the Higgs boson, the Large Hadron Collider and CERN ». (1) Radmila Milentijević: Mileva Marić Einstein: Life with Albert Einstein, United World Press, 2015. (3) Desanka Trbuhović-Gjurić: Mileva Marić Einstein: In Albert Einstein’s shadow: in Serbian, 1969, German, 1982, and French, 1991. Le 19 décembre a marqué le 141ième anniversaire de naissance de Mileva Marić Einstein. Mais qui se souvient de cette brillante physicienne? Alors que son mari, Albert Einstein, est célébré comme étant peut-être le meilleur physicien du siècle, une ombre demeure sur sa carrière: quelles furent les contributions de sa première femme à son oeuvre scientifique? Même si personne n’a encore pu déterminer ses contributions exactes à son travail, leurs lettres et les nombreuses preuves présentées dans les livres consacrés à Mileva Marić(1-5) nous éclairent hors de tout doute sur la façon dont ils ont collaboré depuis leur rencontre en 1896 jusqu’à leur séparation en 1914. L’ensemble de ces documents dépeint le tableau d’un couple uni par une passion mutuelle pour la physique, la musique et l’un pour l’autre. Voici leur histoire. Mileva Marić est née à Titel en Serbie en 1875. Ses parents, Marija Ruzić et Miloš Marić, un homme riche et respecté dans sa communauté, eurent deux autres enfants: Zorka et Miloš Jr. Mileva fréquenta l’école secondaire la dernière année où les filles y étaient encore admises. En 1892, son père obtint une autorisation du Ministre de l’Éducation pour qu’elle puisse assister aux cours de physique alors réservés qu’aux garçons. Elle compléta son secondaire à Zurich en 1894, date à laquelle sa famille déménagea à Novi Sad. Ses camarades de classe décrivirent Mileva comme étant brillante, mais peu bavarde. Elle aimait aller au fond de choses, était persévérante et marchait droit au but. Albert Einstein est né à Ulm en Allemagne en 1879 et n’avait qu’une sœur, Maja. Hermann, son père, était un industriel et sa mère, Pauline Koch, était issue d’une famille riche. Albert était curieux, bohème et rebelle. Indiscipliné de nature, il détestait la rigueur des écoles allemandes et alla finir ses études secondaires en Suisse. Sa famille déménagea alors à Milan. En 1896, Albert et Mileva furent admis dans la section de mathématiques et physique de l’Institut Polytechnique à Zurich (maintenant l’ETH) avec trois autres étudiants: Marcel Grossmann, Louis Kollros et Jakob Ehrat. Albert et Mileva devinrent vite inséparables, étudiant sans cesse ensemble. Il n’assista qu’à quelques cours, préférant étudier par lui-même. Mileva était méthodique et très organisée. Elle l’aidait à canaliser son énergie et guidait ses lectures comme nous le révèlent leurs lettres, échangées entre 1899 et 1903 durant les congés scolaires: 43 lettres d’Albert à Mileva ont été préservées mais seulement 10 lettres de Mileva subsistent(5). Ces lettres fournissent un témoignage direct sur la façon dont ils interagissaient à l’époque. En août 1899, Albert écrit à Mileva : « Quand j’ai lu Helmholtz pour la première fois, il me semblait tout à fait inconcevable que tu ne sois pas à mes côtés et aujourd’hui, ça ne s’améliore pas. Je trouve le travail que nous faisons en commun très bon, curatif et aussi moins ardu.” Le 2 octobre 1899, il lui écrivit de Milan : “… le climat ici ne me convient pas du tout et, un certain travail me manquant, je me laisse aller à ruminer des idées noires – bref, je vois et sens que votre bienfaisante férule ne plane plus au-dessus de moi pour m’empêcher de divaguer “. Mileva logeait dans une pension pour jeunes femmes où elle rencontra ses amies Helene Kaufler-Savić et Milana Bota. Toutes deux témoignèrent de la présence constante d’Albert chez Mileva, où il venait librement y emprunter des livres même en son absence. Milan Popović, le petit-fils d’Helene, a publié les lettres que Mileva écrivit à Helene tout au long de sa vie(4). A la fin de leurs cours en 1900, Mileva et Albert avaient des résultats semblables (une moyenne de 4.7 et 4.6, respectivement) sauf en physique appliquée, où elle obtint la note maximale de 5, mais Albert, seulement 1. Elle excellait en travaux pratiques tandis qu’il n’y avait aucun talent. Cependant, lors de leur examen oral, le Professeur Minkowski accorda une note de 11 sur 12 aux quatre étudiants masculins, mais Mileva ne reçut que 5. Tous obtinrent leur diplôme sauf Mileva. Entre temps, la famille d’Albert s’opposait fortement à leur relation. Sa mère était inflexible. « Quand tu auras 30 ans, elle sera déjà une vieille sorcière! », comme Albert le rapporta à Mileva dans une lettre datée du 27 juillet 1900, de même que “Elle ne peut pas entrer dans une famille convenable“. Mileva n’était ni juive, ni allemande. Elle boitait et était trop intellectuelle de l’avis de sa mère, sans compter les préjugés contre les étrangers. De son côté, le père d’Albert insistait pour que son fils trouve du travail avant de se marier. En septembre 1900, Albert écrivit à Mileva : « Comme je me réjouis à l’avance de notre nouveau travail conjoint. Tu dois maintenant continuer avec ton investigation – comme je serai fier lorsque j’aurai un docteur comme compagne alors que je serai juste un homme ordinaire. » Les deux revinrent à Zurich en octobre 1900 commencer leur travail de thèse. Les trois autres étudiants se virent tous offrir des postes d’assistants à l’Institut, mais pas Albert. Il soupçonna le professeur Weber de malveillance. Pour joindre les deux bouts, ils donnèrent des leçons privées et « continuèrent à vivre et travailler comme avant », comme Mileva l’écrivit à son amie Helene Savić. La décision de publier sous le seul nom d’Albert semble avoir été prise en commun. Pourquoi ? Radmila Milentijević, ancienne professeure d’histoire au City College de New York, a publié en 2014 la biographie la plus complète à ce jour sur Mileva(1). Elle suggère que Mileva voulait probablement aider Albert à se faire un nom, pour qu’il puisse trouver un travail et l’épouser. Dord Krstić, ancien professeur de physique à l’Université de Ljubljana, passa près de 50 ans à enquêter sur la vie de Mileva. Dans son livre(2) fort bien documenté, il suggère qu’une publication co-signée avec une femme aurait pu en réduire l’impact étant donné les préjugés sexistes de l’époque. C’est à ce moment que le destin de Mileva bascula. Suite à une escapade amoureuse au Lac de Côme, elle tomba enceinte. Toujours sans emploi, Albert refuse toujours de l’épouser. C’est avec un avenir on ne peut plus incertain que Mileva tenta sa seconde et dernière chance à l’examen oral en juillet 1901. Cette fois, c’est le professeur Weber, celui qu’Albert soupçonnait de bloquer sa carrière, qui lui refuse la note de passage. Forcée d’abandonner ses études, elle retourna en Serbie, mais revint brièvement à Zurich pour essayer en vain de persuader Albert de l’épouser. Elle donna naissance à une petite fille nommée Liserl en janvier 1902. Personne ne sait ce qui lui est arrivé. Elle fut probablement donnée en adoption. Aucun acte de naissance ou de décès n’a été retrouvé. Bien plus tard, Albert confia à R. S. Shankland(6) que la relativité avait été sa vie pendant sept ans et l’effet photoélectrique, cinq ans. Peter Michelmore, un de ses biographes(7), écrivit qu’après avoir passé cinq semaines à compléter l’article sur la relativité restreinte, Albert « passa deux semaines au lit pendant que Mileva relisait inlassablement l’article avant de le poster ». Épuisé, le couple part en Serbie pour une première de trois visites où ils rencontrèrent de nombreux parents et amis. Les témoignages de ces derniers foisonnent d’information sur la façon dont Albert et Mileva collaboraient à l’époque. Zarko Marić, un cousin du père de Mileva, vivait dans la maison de campagne où les Einstein séjournèrent durant leurs visites. Il raconta à Krstić comment Mileva calculait, écrivait et travaillait avec Albert. Le couple s’assoyait souvent au jardin pour discuter de physique. L’harmonie et le respect mutuel prévalaient. Gajin et Zarko Marić rapportèrent aussi que le père de Mileva leur confia que lors de la visite des Einstein à Novi Sad en 1905, Mileva lui dit: « Nous venons de terminer un travail de recherche scientifique très important qui va rendre mon mari célèbre. » Krstić récolta les mêmes propos de la cousine de Mileva, Sofija Galić Golubović, qui était présente lorsque Mileva parla à son père. Desanka Trbuhović-Gjurić a publié la première biographie de Mileva en serbe en 1969(3). Cet ouvrage paru plus tard en allemand puis en français. Elle y décrit comment le frère de Mileva accueillait souvent de jeunes intellectuels chez lui. Lors d’une de ces soirées, Albert aurait déclaré: « J’ai besoin de ma femme. Elle résout pour moi tous mes problèmes mathématiques », fait que Mileva aurait confirmé. Leur deuxième fils, Eduard, vint au monde le 28 juillet 1910. Jusqu’à 1911, Albert envoyait toujours des cartes postales affectueuses à Mileva. Mais en 1912, il commença une relation avec sa cousine, Elsa Löwenthal, lors d’une visite à sa famille qui avait déménagé à Berlin. Ils entretinrent une correspondance secrète pendant plus de deux ans. Elsa conserva 21 des lettres d’Albert, qu’on retrouve aujourd’hui dans Collected Papers of Albert Einstein. Durant cette période, Albert occupa différents postes de professeur d’abord à Prague, de retour à Zurich et finalement à Berlin en 1914 afin de se rapprocher d’Elsa. Cela causa l’effondrement de leur mariage. Mileva retourna à Zurich avec ses deux fils le 29 juillet 1914. En 1919, elle consentit à divorcer, exigeant d’inclure une clause dans leur contrat de divorce stipulant que si Albert recevait le Prix Nobel, elle seule obtiendrait l’argent. Lorsqu’elle le reçut, elle acheta deux petits immeubles et vécut maigrement de leurs revenus. Son fils, Eduard séjourna à plusieurs reprises dans un sanatorium. Il souffrit plus tard de schizophrénie et dut finalement être interné. En raison de ces dépenses médicales, Mileva eut de graves soucis financiers toute sa vie et éventuellement perdit les deux immeubles. Elle survécut en donnant des cours particuliers et grâce à la pension alimentaire qu’Albert lui envoyait, bien qu’irrégulièrement. Leurs lettres et les nombreux témoignages attestent que Mileva Marić et Albert Einstein collaborèrent étroitement depuis leur rencontre jusqu’à 1914. Albert le mentionna à plusieurs reprises dans ses lettres, comme lorsqu’il écrivit : “notre travail sur mouvement relatif“. Leur union était faite d’amour et de respect mutuel. C’est ce qui leur a permis de produire ensemble un travail hors du commun. Elle fut la première à reconnaître son talent. Sans elle, il n’aurait jamais réussi. Elle abandonna ses propres aspirations, heureuse de travailler avec lui et de contribuer à son succès, sentant qu’ils ne faisaient qu’un. Une fois enclenché, il devint impossible de faire marche arrière sur le processus de signer leur travail sous le seul nom d’Albert. Elle l’avait probablement accepté puisque son propre bonheur dépendait de son succès. Pourquoi Mileva est-elle restée silencieuse? Étant de nature discrète, elle ne recherchait pas les honneurs ou l’attention publique. Et comme dans tous les cas de collaboration étroite, les contributions individuelles de chacun sont presque toujours impossibles à départager. Pour en savoir plus sur la physique des particules et la matière sombre, consultez mon livre “Qu’est-ce que le boson de Higgs mange en hiver et autres détails essentiels“. (3) Desanka Trbuhović-Gjurić Mileva Marić Einstein : Dans l’ombre d’Albert Einstein : en serbe, 1969, allemand, 1982 et français, 1991. 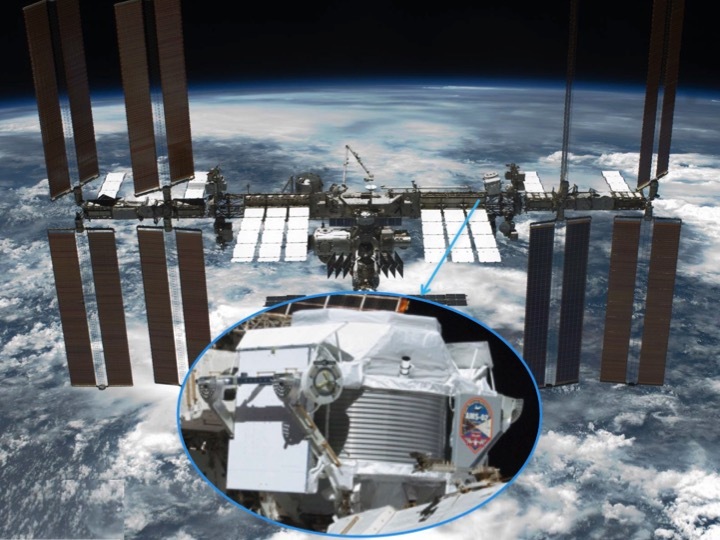 Pour célébrer les cinq premières années d’opération à bord de la Station spatiale internationale, le Professeur Sam Ting, porte-parole de la Collaboration Alpha Magnetic Spectrometer (AMS-02) vient de présenter leurs derniers résultats lors d’un récent séminaire tenu au CERN. Avec plus de 90 millions d’évènements recueillis dans les rayons cosmiques, ce groupe dispose des données les plus précises sur une vaste gamme de particules trouvées dans l’espace. La question qui intrigue de nombreux scientifiques est de savoir s’ils pourront résoudre l’énigme de l’origine de l’excès de positrons trouvés dans les rayons cosmiques. Les positrons sont l’antimatière des électrons. Étant donné que nous vivons dans un monde fait presque uniquement de matière, les scientifiques se demandent depuis plus d’une décennie d’où émanent ces positrons. Il est bien connu que des positrons sont produits lorsque les rayons cosmiques interagissent avec la matière interstellaire mais on en observe bien plus que ce à quoi on s’attendait de cette seule source. Des hypothèses diverses ont été formulées pour expliquer l’origine de ces positrons excédentaires. Une des plus fascinantes suggère que ces positrons pourraient venir de l’annihilation de particules de matière sombre. La matière sombre est une nouvelle forme de matière invisible qu’on détecte dans l’Univers par ses effets gravitationnels. La matière régulière, tout ce que nous voyons sur la Terre, mais aussi dans les étoiles et les galaxies, émet de la lumière lorsque chauffée, tout comme une pièce métallique irradie à haute température. La matière sombre n’émet aucune lumière, d’où son nom. Elle est cinq fois plus répandue que la matière régulière. Personne ne le sait encore mais on soupçonne que cette matière, tout comme la matière ordinaire, soit faite de particules, mais on n’a toujours pas capturé de particules de matière sombre. Mais si de telles particules existaient, elles pourraient s’annihiler entre elles, produisant des électrons et des positrons, ou des paires de protons et d’antiprotons. Si un tel processus était établi, cela confirmerait enfin l’existence de particules de matière sombre et révèlerait quelques indices sur leurs caractéristiques. Une explication alternative mais moins exotique serait que l’excès observé de positrons provienne de pulsars. Les pulsars sont des étoiles à neutrons ayant un fort champ magnétique et qui émettent de la lumière pulsée. Mais la lumière est faite de photons et les photons peuvent eux aussi produire des paires d’électrons et de positrons. Donc, les pulsars tout comme l’annihilation de matière sombre, fournissent une explication plausible quant à la source de ces positrons. Pour les distinguer, il faut mesurer l’énergie des positrons captés dans les rayons cosmiques et voir combien on en trouve à haute énergie. C’est ce que AMS a fait et leurs résultats sont visibles dans le graphe de gauche ci-dessous où nous voyons le flux de positrons (axe vertical) trouvé à une énergie particulière (axe horizontal). Le flux combine le nombre de positrons trouvés avec leur énergie au cube. La courbe en vert donne le nombre de positrons produits lorsque des rayons cosmiques frappent de la matière interstellaire (ISM). Si l’excès de positrons devait venir de l’annihilation de matière sombre, on ne trouverait aucun positron au-delà de l’énergie correspondant à la masse des particules de matière sombre. Ils auraient une distribution d’énergie semblable à la courbe en brun sur le graphe ci-dessous tel que prédit pour des particules de matière sombre ayant une masse de 1 TeV, soit mille fois plus lourd qu’un proton. Dans ce cas, la courbe de distribution d’énergie des positrons chuterait rapidement. Les points en rouge représentent les données d’AMS avec leurs erreurs expérimentales indiquées par les barres verticales. Par contre, si les positrons venaient de pulsars, la chûte à haute énergie serait moins prononcée. Toute la difficulté consiste à comprendre précisément leur comportement à haute énergie. Mais comme on y trouve moins de positrons, il est beaucoup plus difficile de voir ce qu’il en est comme l’indiquent les larges marges d’erreur associées aux mesures faites à plus haute énergie. Mais si on mesure plutôt la fraction de positrons trouvés dans les données en combinant positrons et électrons, certaines des erreurs expérimentales s’annulent. AMS a rassemblé plus d’un million de positrons et 16 millions d’électrons. Les points en rouge sur le graphe de droite ci-dessus montrent la fraction de positrons trouvée dans leur échantillon en fonction de leur énergie. Malgré les pas de géants accomplis, la précision actuelle de ces mesures ne permet toujours pas d’établir clairement si cette fraction tombe abruptement à haute énergie ou pas. La Collaboration AMS espère toutefois avoir assez de données pour distinguer les deux hypothèses d’ici à 2024, date à laquelle la Station Spatiale Internationale cessera ses opérations. 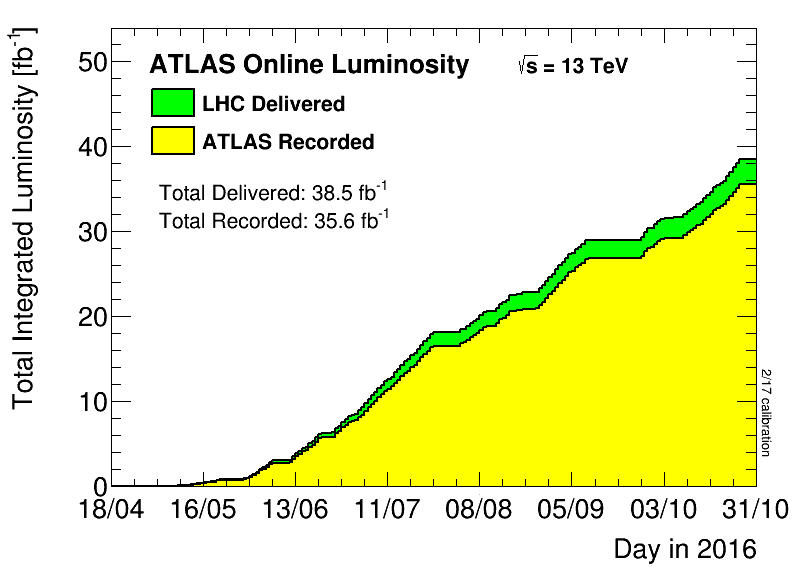 On peut voir ces projections sur les deux graphes suivants tant pour le flux de positrons (à gauche) que pour la fraction de positrons (à droite). À ce jour, les deux hypothèses sont toujours valides étant donné la taille des erreurs expérimentales. L’hypothèse de la matière sombre peut aussi être testée d’une autre façon. En interagissant avec la matière interstellaire, les rayons cosmiques produisent non seulement des positrons mais aussi des antiprotons. Les annihilations de matière sombre pourraient aussi en produire mais pas les pulsars. Il faut donc déterminer s’il y a ou pas plus d’antiprotons dans l’espace que ce que les rayons cosmiques peuvent produire. Si c’était établi, ce serait un argument de plus contre l’hypothèse des pulsars. Mais pour ce faire, il faut savoir précisément comment les rayons cosmiques se propagent et interagissent avec la matière interstellaire. 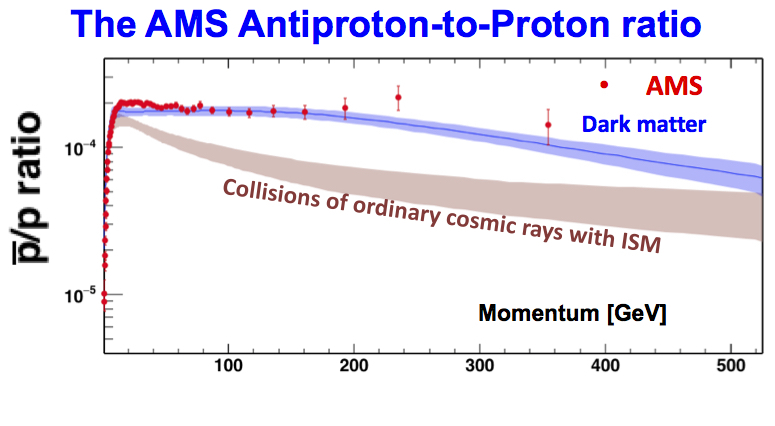 S’appuyant sur le vaste échantillon d’antiprotons recueillis par AMS, le Prof. Sam Ting a soutenu qu’un tel excès existe, présentant le graphe suivant à l’appui. On y voit la fraction d’antiprotons trouvés dans l’échantillon total de protons et des antiprotons en fonction de leur énergie. Les points en rouge représentent les mesures d’AMS, la bande brune, les calculs théoriques pour les rayons cosmiques et la bande bleue, ce qui pourrait venir de la matière sombre. Ce graphe suggère fortement un surplus d’antiprotons par rapport à ce que l’on s’attend des rayons cosmiques interagissant avec la matière interstellaire (ISM). Mais tant Dan Hooper qu’Ilias Cholis, deux théoriciens experts en la matière, s’objectent carrément, disant que l’incertitude sur les prédictions théoriques sont beaucoup plus grandes que ce que ce graphe suggère. Ils soutiennent que le graphe suivant (de Cuoco etal.) est de loin plus réaliste. Les points en rose représentent les données d’AMS pour la fraction d’antiprotons et le trait en noir, les prédictions théoriques avec leur marge d’erreur. Les deux concordent ou presque, suggérant l’absence de tout excès. Nous devrons patienter encore quelques années avant que les données d’AMS et les prédictions théoriques soient assez précises pour savoir s’il y a excès ou pas. La Collaboration AMS pourrait nous réserver une autre belle surprise : la découverte d’antiatomes d’hélium dans l’espace. Étant donné l’extrême difficulté à produire une particule d’antimatière plus complexe qu’un antiproton, les scientifiques d’AMS devront trier d’énormes quantités de données et réduire toutes les erreurs expérimentales encore davantage avant qu’une telle découverte ne puisse être établie. La découverte d’antihélium, ou celle d’un excès d’antiprotons ou encore la résolution de l’énigme des positrons, tout cela vaut bien la peine d’attendre encore quelques années. AMS a du beau pain sur la planche! Les grandes percées sont rares en physique. La recherche est plutôt jalonnée d’innombrables petites avancées et c’est ce qui ressortira de la Conférence Internationale de la Physique des Hautes Énergies (ICHEP) qui s’est ouverte hier à Chicago. On y espérait un pas de géant mais aujourd’hui les expériences CMS et ATLAS ont toutes deux rapporté que l’effet prometteur observé à 750 GeV dans les données de 2015 avait disparu. Il est vrai que ce genre de choses n’est pas rare en physique des particules étant donné la nature statistique de tous les phénomènes que nous observons. Sur chaque figure, l’axe vertical indique le nombre d’évènements trouvés contenant une paire de photons dont la masse combinée apparaît sur l’axe horizontal en unités de GeV. (À gauche) Les points en noir représentent les données expérimentales recueillies et analysées jusqu’à présent par la Collaboration CMS, soit 12.9 fb-1, à comparer aux 2.7 fb-1 disponibles en 2015. Le trait vertical associé à chaque point représente la marge d’erreur expérimentale. En tenant compte de ces erreurs, les données sont compatibles avec ce à quoi on s’attend pour le bruit de fond, tel qu’indiqué par la courbe en vert. (À droite) Une nouvelle particule se serait manifestée sous forme d’un pic tel que celui en rouge si elle avait eu les mêmes propriétés que celles pressenties dans les données de 2015 à 750 GeV. Visiblement, les données expérimentales (points noirs) reproduisent simplement le bruit de fond. Il faut donc conclure que ce qui avait été aperçu dans les données de 2015 n’était que le fruit d’une variation statistique. Mais dans ce cas, c’était particulièrement convainquant car le même effet avait été observé indépendamment par deux équipes qui travaillent sans se consulter et utilisent des méthodes d’analyse et des détecteurs différents. Cela avait déclenché beaucoup d’activités et d’optimisme : à ce jour, 540 articles scientifiques ont été écrits sur cette particule hypothétique qui n’a jamais existé, tant l’implication de son existence serait profonde. Mais les théoriciens et théoriciennes ne furent pas les seuls à nourrir autant d’espoir. Beaucoup d’expérimentalistes y ont cru et ont parié sur son existence, un de mes collègues allant jusqu’à mettre en jeu une caisse d’excellent vin. Si beaucoup de physiciens et physiciennes avaient bon espoir ou étaient même convaincus de la présence d’une nouvelle particule, les deux expériences ont néanmoins affiché la plus grande prudence. En l’absence de preuves irréfutables de sa présence, aucune des deux collaborations, ATLAS et CMS, n’a revendiqué quoi que ce soit. Ceci est caractéristique des scientifiques : on parle de découvertes seulement lorsqu’il ne subsiste plus aucun doute. Mais beaucoup de physiciens et physiciennes, moi y compris, ont délaissé un peu leurs réserves, non seulement parce que les chances que cet effet disparaisse étaient très minces, mais aussi parce que cela aurait été une découverte beaucoup plus grande que celle du boson de Higgs, générant du coup beaucoup d’enthousiasme. Tout le monde soupçonne qu’il doit exister d’autres particules au-delà de celles déjà connues et décrites par le Modèle standard de la physique des particules. Mais malgré des années passées à leur recherche, nous n’avons toujours rien à nous mettre sous la dent. Depuis que le Grand collisionneur de hadrons (LHC) du CERN opère à plus haute énergie, ayant passé de 8 TeV à 13 TeV en 2015, les chances d’une découverte majeure sont plus fortes que jamais. Disposer de plus d’énergie donne accès à des territoires jamais explorés auparavant. Jusqu’ici, les données de 2015 n’ont pas révélé la présence de particules ou phénomènes nouveaux mais la quantité de données recueillies était vraiment limitée. Au contraire, cette année le LHC se surpasse, ayant déjà produit cinq fois plus de données que l’année dernière. On espère y découvrir éventuellement les premiers signes d’un effet révolutionnaire. Des dizaines de nouvelles analyses basées sur ces données récentes seront présentées à la conférence ICHEP jusqu’au 10 août et j’en reparlerai sous peu. Il a fallu 48 ans pour découvrir le boson de Higgs après qu’il fut postulé théoriquement alors qu’on savait ce que l’on voulait trouver. Mais aujourd’hui, nous ne savons même pas ce que nous cherchons. Cela pourrait donc prendre encore un peu de temps. Il y a autre chose, tout le monde le sait. Mais quand le trouverons nous, ça, c’est une autre histoire. Giant leaps are rare in physics. Scientific research is rather a long process made of countless small steps and this is what will be presented throughout the week at the International Conference on High Energy Physics (ICHEP) in Chicago. 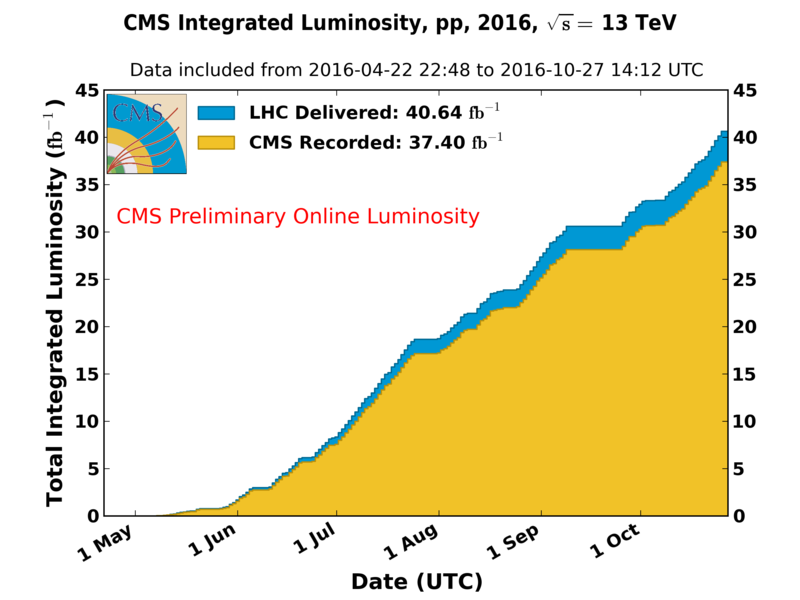 While many hoped for a major breakthrough, today, both the CMS and ATLAS experiments reported that the promising effect observed at 750 GeV in last year’s data has vanished. True, this is not uncommon in particle physics given the statistical nature of all phenomena we observe. 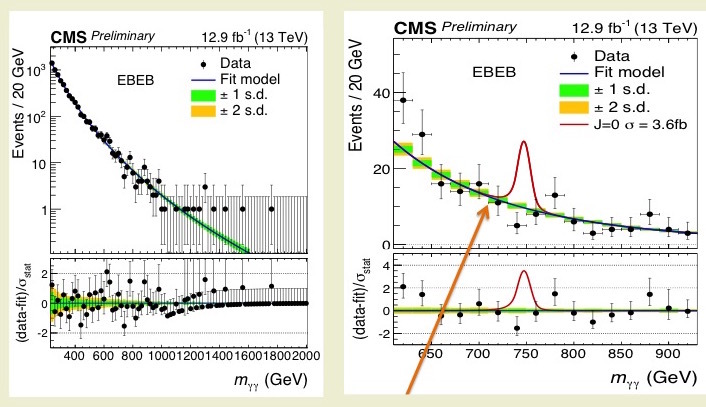 On both plots, the vertical axis gives the number of events found containing a pair of photons with a combined mass given in units of GeV (horizontal axis) (Left plot) The black dots represent all data collected in 2016 and analysed so far by the CMS Collaboration, namely 12.9 fb-1, compared to the 2.7 fb-1 available in 2015. The vertical line associated with each data point represents the experimental error margin. Taking these errors into account, the data are compatible with what is expected from various backgrounds, as indicated by the green curve. 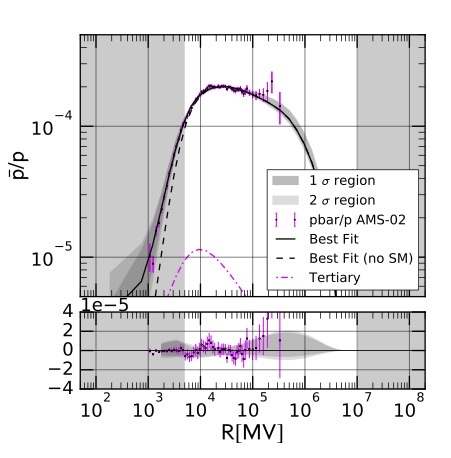 (Right) A new particle would have manifested itself as a peak as big as the red one shown here if it had the same features as what had been seen in the 2015 data around 750 GeV. Clearly, the black data points pretty much reproduce the background. Hence, we must conclude that what was seen in the 2015 data was simply due to a statistical fluctuation. What was particularly compelling in this case was that the very same effect had been observed by two independent teams, who worked without consulting each other and used different detectors and analysis methods. This triggered frantic activity and much expectation: to date, 540 scientific theory papers have been written on a hypothetical particle that never was, so profound the implications of the existence of such a new particle would be. But theorists were not the only ones to be so hopeful. Many experimentalists had taken strong bets, one of my colleagues going as far as putting a case of very expensive wine on it. If many physicists were hopeful or even convinced of the presence of a new particle, both experiments nevertheless had been very cautious. Without unambiguous signs of its presence, neither the ATLAS nor the CMS Collaborations had made claims. This is very typical of scientists: one should not claim anything until it has been established beyond any conceivable doubt. But many theorists and experimentalists, including myself, threw some of our caution to the air, not only because the chances it would vanish were so small but also because it would have been a much bigger discovery than that of the Higgs boson, generating much enthusiasm. As it stands, we all suspect that there are other particles out there, beyond the known ones, those described by the Standard Model of particle physics. But despite years spent looking for them, we still have nothing to chew on. In 2015, the Large Hadron Collider at CERN raised its operating energy, going from 8 TeV to the current 13 TeV, making the odds for a discovery stronger than ever since higher energy means access to territories never explored before. So far, the 2015 data has not revealed any new particle or phenomena but the amount of data collected was really small. 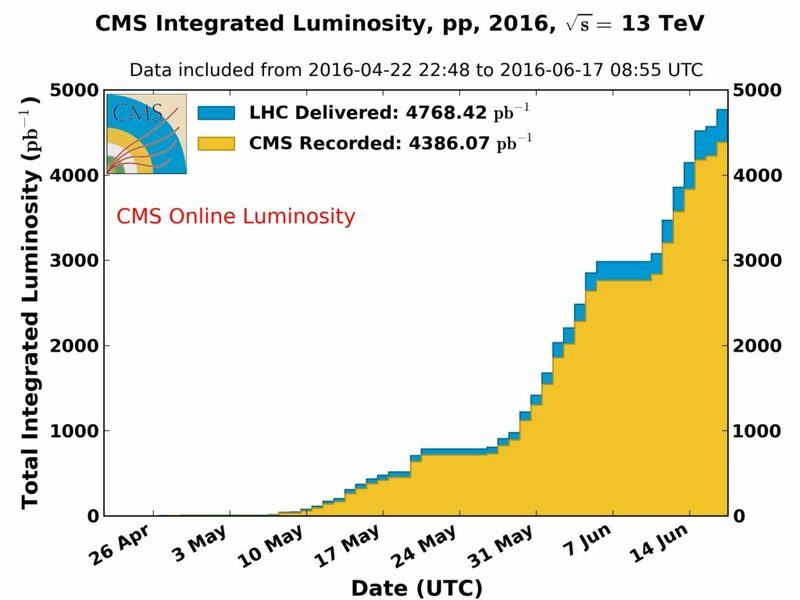 On the contrary, this year, the LHC is outperforming itself, having already delivered five times more data than last year. The hope is that these data will eventually reveal the first signs of something revolutionary. Dozens of new analyses based on the recent data will be presented until August 10 at the ICHEP conference and I’ll present some of them later on. It took 48 years to discover the Higgs boson after it was first theoretically predicted when we knew what to expect. This time, we don’t even know what we are looking for. So it could still take a little longer. There is more to be found, we all know it. But when will we find it, is another story. To find out more about particle physics, check out my book « Who Cares about Particle Physics: making sense of the Higgs boson, the Large Hadron Collider and CERN ».